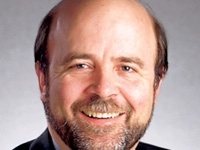 Dave Guilford is enterprise editor of Automotive News. In the last decade, hydrogen fuel cell vehicles got a lot of buzz. The Obama administration has pushed near-term alternatives like battery-powered EVs. Dismayed fuel cell advocates say their technology beats battery electrics with rapid refueling and ranges comparable to petrol-powered vehicles. Creation of a national hydrogen refueling infrastructure has been the roadblock. But Toyota said this week it has reduced the cost of making hydrogen fuel cell cars by 90 percent -- and is planning a $50,000 hydrogen fuel cell car in the U.S.
And Honda -- which has a fleet of FCX Clarity fuel-cell cars on the road -- is testing a solar-powered home unit that makes hydrogen by electrolyzing water. Well-to-wheel emissions for a car powered thusly? Zero.